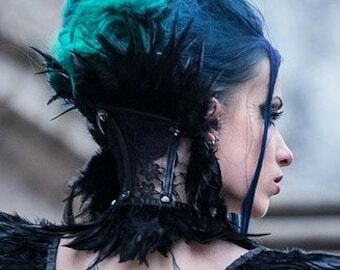 Black feather gothic queen costume neck collar. 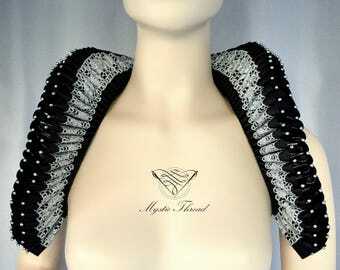 This neck collar is made of black taffeta fabric. The collar is decorated with black feathers, black roses and crystals. It fastens with satin ribbon on the back.